Victoria Johnson, English artist living in Rome. 2. 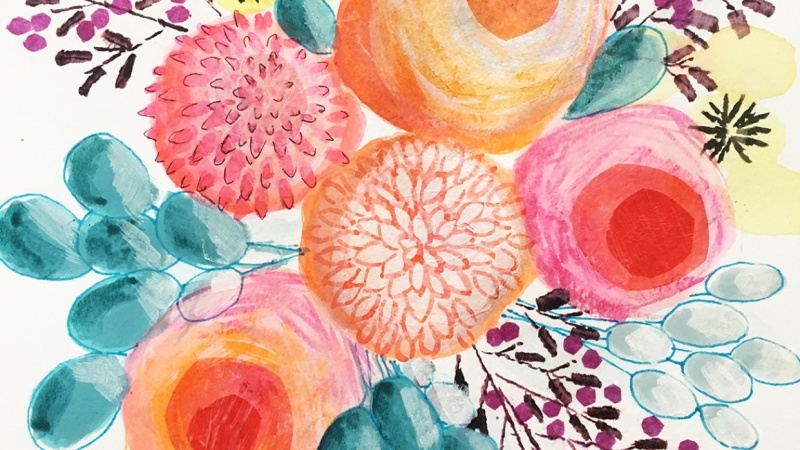 Floral sketchbook: flip through my sketchbook to see the possibilities. 3. 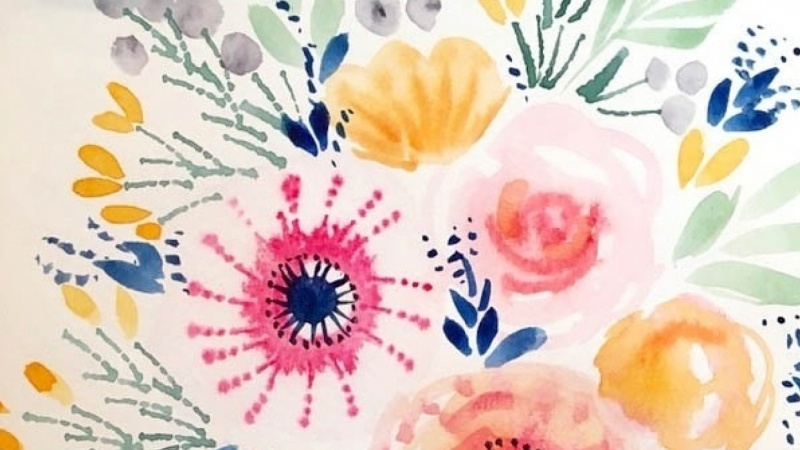 Floral reference: find imagery of beautiful flowers and get inspired. 4. Tools: see what I'm using - it's nothing fancy! 5. Mark-making: find out what your tools and materials can do and let them do the work. 6. 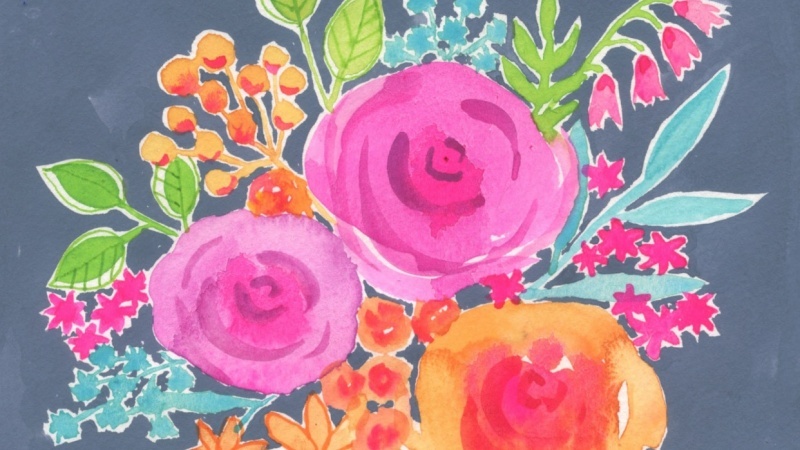 Painting demo: create a beautiful floral bouquet! 7. Project: create your project as you learn then use what you learned to create more! 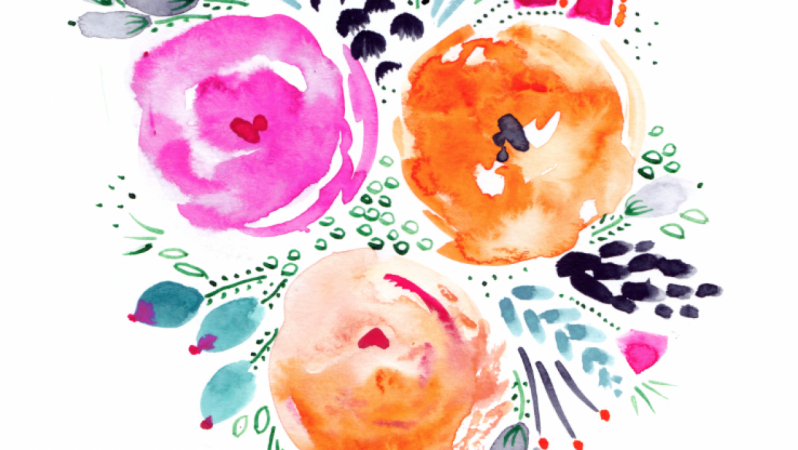 This class is about creating pretty, gestural florals in a fluid and spontaneous way. 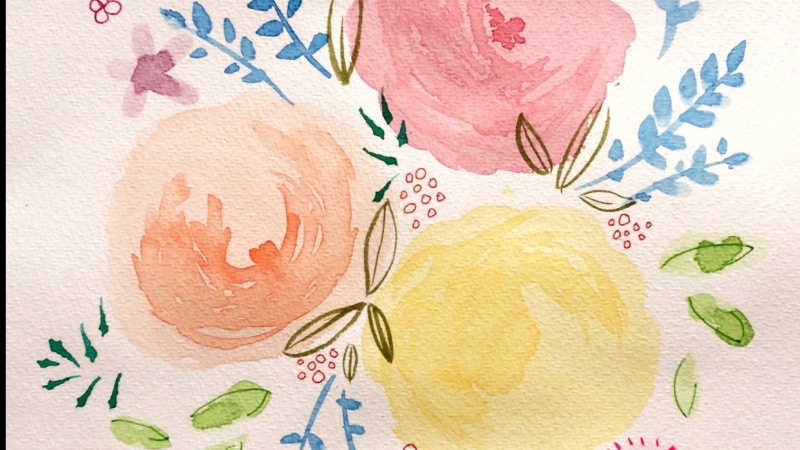 You'll learn painting and mark-making techniques that emulate floral forms and allow your tools and materials to do the hard work for you. For your project you'll use the techniques you’ve learned to paint a small, pretty bouquet of flowers on a postcard-sized piece of watercolor paper. You'll need to be somewhat familiar with a brush, paints and palette, knowing how to rinse your brush, mix a few colours, etc. The class should appeal to a variety of experience levels. The beginner will be learning techniques that help them create beautiful art, even if they can't draw perfectly. More accomplished artists can enjoy the experience of working loosely, with immediacy and spontaneity. All levels will value the opportunity to explore and experiment. 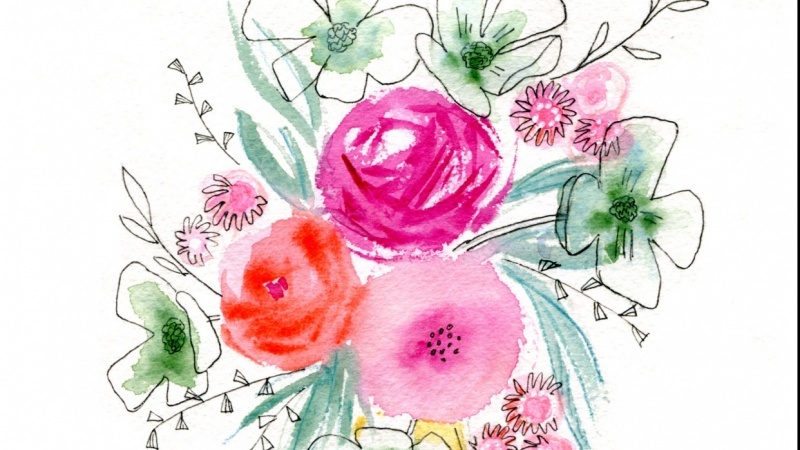 Create a small scale floral bouquet on A5 watercolor paper. English artist living in Rome. Hi!! I'm an English artist/designer in Rome. I live here with my Italian husband and two children. Before that I lived in New York for twelve years, owning and running a design studio in NY and London. My work has featured on a huge variety of products, from women's and children's wear, to paper products, home furnishings and giftware and I'm lucky to have worked with some of the best known companies in the US and Europe.